I was so pleased at the robust turnout at my first three presidential roundtable events last month. These informal conversations are critical to me. No one governs an institution alone, and getting feedback and questions from the people who really make CSN go is so important to understanding where we are, what we are doing well, and where we could improve. I heard a lot about all three areas. While I will have a more comprehensive summary of the roundtables available soon, I wanted to use this space to cover a few of the issues that were brought up. Several topics were addressed at all three roundtables, including campus safety and our police department, communications, student success initiatives, and a perceived disconnect between the administration and our students, the very people we are here to serve. While campus safety is addressed later in this newsletter, please know that communications and student services will be priorities for me. I am grateful for the feedback and suggestions in both areas. Communications permeates everything we do, and it’s vital that we remain accessible and transparent. Equally critical are student services and our front-line interactions. The staff members in both areas are extremely dedicated individuals who welcome any opportunity to improve. Regarding student success initiatives, we have much on the horizon, including the ongoing restructuring around our Multi-Campus District model, and new grants that will help us accelerate changes already underway and implement some new ones, including guided pathways and student support services. These will be ongoing programs, so I will continue to keep you informed as implementation occurs. Because the roundtable events are designed for faculty and staff, we also have scheduled several Pizza with the President events for our students. Please help us spread the word. Please be aware that CSN is due for the mid-cycle evaluation required by the Northwest Commission on Colleges and Universities. An evaluation team will visit campus next week, on Monday October 8 and Tuesday October 9. This routine evaluation is conducted in the third year of the seven-year accreditation cycle. It is intended to ascertain an institution’s readiness to provide evidence of mission fulfillment and sustainability. Essentially, these evaluations tend to point out what is going well and what needs improvements, while following up on previous findings. Because of the hard work by Clarissa Cota, Margo Martin and their team, we are confident the visit will go well. As always, I will keep you informed as events develop. The proposed Health & Sciences Building on the Henderson Campus remains our top legislative priority as we prepare for the 2019 session, which opens February 4. This building, in which we will partner with Nevada State College on numerous programs, is NSHE’s second highest priority for the entire system, and the third highest priority for the Southern Nevada Forum, an important group of legislative and business leaders that can have significant impact in Carson City. Needless to say, we are excited by the possibilities. Among the proposals for the building would be expanded training for nurses, EMTs and other healthcare professionals needed to alleviate a critical healthcare workforce shortage. Our next highest priority will be to finally plan for the development of the 44 acres of land slated for our Northwest Campus. We will request $4 million in planning funds. This future campus is sorely needed. The northwest portion of the metro area is drastically underserved when it comes to higher education. Indeed, all of Southern Nevada needs easier access to our facilities. Planning and eventually building out the Northwest Campus is a necessary step toward planning out the region’s future, of which CSN will be an integral component. Our other top priorities will be legislation concerning the Nevada Promise Scholarship and the Prison Education Program. It is time again for CSN to conduct our work climate survey, done every three years to ensure we know what issues are important to you all. Next month, all employees, including student workers and part-time faculty and staff, will be contacted via email to complete a Personal Assessment of the College Environment, or PACE, survey. It is very important that you fill this confidential form out. It is completely anonymous. Please plan to spend 15-20 minutes completing the PACE survey – you cannot save an incomplete survey and return to it. Your answers will allow members of the CSN Work Climate Committee to identify key issues and collect feedback to inform recommendations that they bring to the administration. 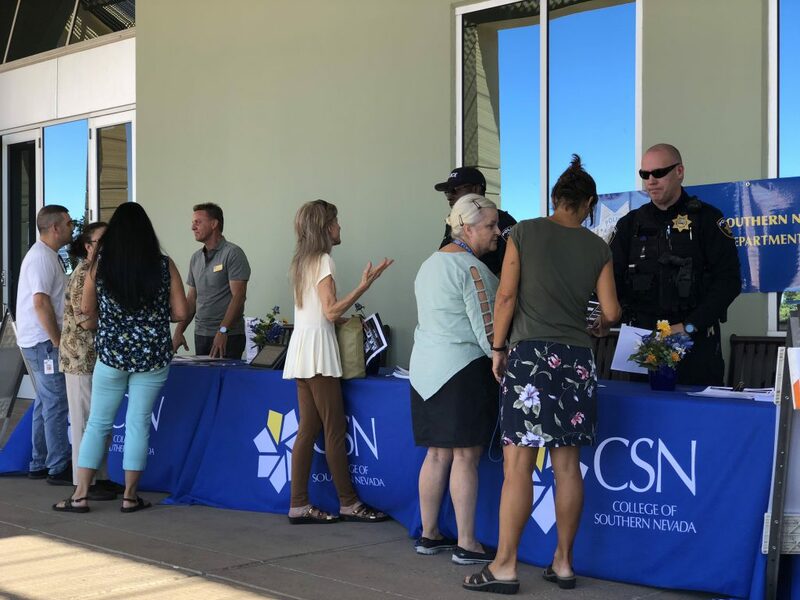 As you know, a report on potential police consolidation at the Southern Nevada higher education institutions commissioned by the Board of Regents was released this past spring. While no definitive action has yet been taken, it is important to note that whatever the model that is recommended down here will not look like the model followed in northern Nevada. We are assured that any new structure will make us more safe, not less. What is being considered is combining some operations and sharing some resources. Folding one police department into another is not among the options, nor is having one institution responsible for the safety and security of the others. As of yet, there is no formal proposal being discussed, but rather simply a range of possibilities, one of which would involve creating an integrated Southern Command structure of some kind. While saving money is important to me, as it should be to all of us, my bottom line is and always will be a safe, secure campus, including potentially improved response times and more robust training for our officers. It is important to know that the three institutions will continue having input in this process. Rest assured our voice will be heard. We must be vigilant about campus safety. To that end, we deployed Campus Safety Information Teams on all three campuses last month. We were pleased with the turnout. Faculty, staff and students took advantage of the opportunity to learn about our emergency plan, how to sign up for alerts, where to get training and more. In the interest of safety, please know that we will also be holding active shooter drills later this semester and in the spring. Please be prepared, and go into the events thinking about what your role would be during such an event. The first drill is scheduled for the week of November 5 on the North Las Vegas Campus. Please remain alert. Remember, if you see something, say something. Next fall, we anticipate launching our new AAS degree in Environmental Management. The degree was approved by the Board of Regents last month. In an effort to meet the high demand for experts in the field, we have plans to expand the degree into a bachelor’s degree the following year. Local industry is heavily invested in the program. Graduates and students will be able to meet and interact with potential employers before completing the program. Bureau of Labor Statistics data suggest that environmental related jobs in Nevada could grow at a rate of 11 percent in the coming years. The beloved Hungry Games will return next month! The faculty and staff softball tournament is scheduled for 10 a.m. to 2 p.m. Saturday, November 17 on the Henderson Campus. Be sure to come watch, grab a hot dog, and cheer your team on. Contact your respective employee group leadership to sign up for your team. Another favorite is returning: The CSN Holiday Party will take place from 6-9 p.m. December 13 at the Texas Station Gambling Hall & Hotel. Look for more details as the date approaches. I want to remind you that CSN’s award-winning Film & Videography Program will present the Seventh Annual Short Film Showcase at 6:30 p.m. Friday, October 12 in the Nicholas J. Horn Theatre on CSN’s North Las Vegas Campus. The event is free and open to the public. 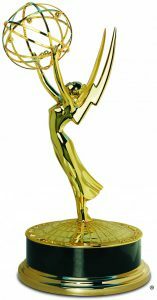 Films from CSN students, including several that took home Student Production Emmy Awards this summer, will be on display. This popular event has grown every year since its inception, and it’s not suprising. I look forward to seeing the films myself. 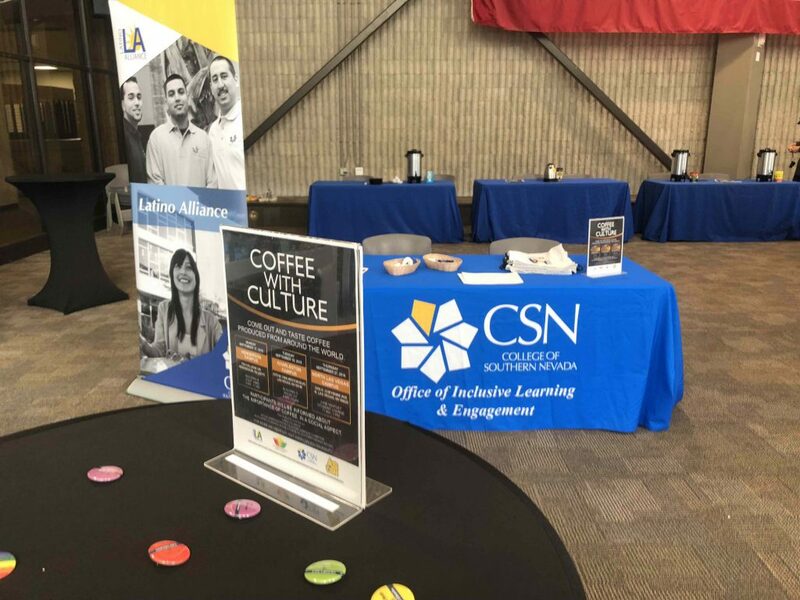 I hope everybody had a chance to visit one of the Coffee With Culture events held as part of Hispanic Heritage Month on each of our campuses. The gatherings gave participants a chance to sample beverages from cultures around the world, including coffees from Italy, Cuba, Hawaii and the Caribbean. They also offered the opportunity to meet members of the CSN Latino Alliance and the Asian American Pacific Islander Heritage Committee. I look forward to more heritage events, and hope to see you there. Please review the latest enrollment report at the link below. This updated report reflects our fall enrollment through October 1. I am tremendously excited about the current enrollment numbers…and you should be too! For the first time since spring 2015, we are up over 35,000 students in terms of headcount and are currently sitting at 19,154 full-time equivalent (FTE) enrollment. You have to go back to the fall of 2012 to see an FTE number that high. Thank you all for your hard work and let’s keep the momentum going for the spring semester! Visit the Institutional Research web page to see additional enrollment and institutional data. 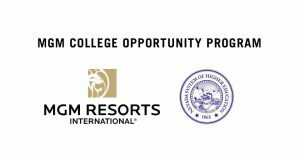 MGM Resorts International and the Nevada System of Higher Education are now partners in an effort make higher education affordable and accessible to the company’s more than 70,000 employees. The MGM College Opportunity Program, approved last month by the Board of Regents, marks the first time a Fortune 300 company is partnering with an entire system of higher education. MGM employees can receive online education through NSHE schools, including CSN, free of charge for all credit hours. The program, which will will emphasize degree completion, is set to begin next fall. We welcome this opportunity to help diversify and strengthen Nevada’s economy by ensuring even more of our residents have access to higher education. 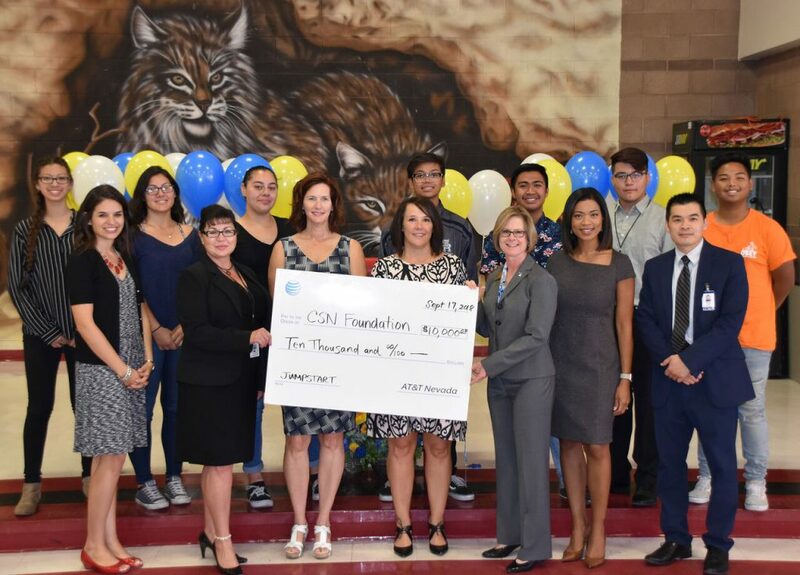 Please take a moment to pledge your support for the Employee Giving Campaign by making your Coyote Commitment to the CSN Foundation. Support our students and to make a difference in our community! Join businesses, community leaders, philanthropists, and alumni to support scholarship programs and our capital campaign. We can’t do it without you. This entry was posted in Monthly Chronicles. Bookmark the permalink.